1478 Birth: Sir Thomas More, English statesman, lawyer, lord chancellor of England, writer; Utopia. 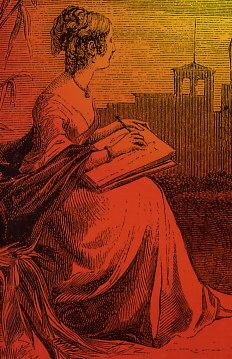 1764 Birth: Ann Radcliffe, London, Gothic novelist; Mysteries of Udolpho. 1791 Saratoga County, New York is founded. 1792 Austria and Prussia form an alliance against France. 1795 England occupies the Dutch West Indies. 1804 Birth: John Deere, pioneer manufacturer of agricultural implements. 1812 Birth: Charles Dickens, English novelist; Oliver Twist, Tale of 2 Cities. 1812 The last of the Midwest earthquakes strikes New Madrid, Missouri, changing the course of Mississippi River in many places. 1812 Lord Byron makes his maiden speech in the British House of Lords. 1845 The Portland Vase, a 10 inch Roman glass vessel, is smashed by a hooligan, while it was on loan to the British Museum. 1862 US Civil War: The Federal fleet makes an attack on Roanoke Island, North Carolina. 1862 Birth: Bernard Maybeck, US architect; Palace of Fine Arts, San Francisco. 1867 Birth: Laura Ingalls Wilder, in Wisconsin, children's books author; Little House on the Prairie. 1877 Birth: Godfrey H. Hardy, England, number theorist. 1885 Birth: Sinclair Lewis, novelist, social critic; Main Street, Nobel 1930. 1889 Birth: Josef Thorak. Said to have been Hitler's favorite sculptor. He will specialize in heroic male figures and create colossal sculptures. Will be acquitted of all crimes during denazification. 1893 Elisha Gray, of Highland Park, Illinois, patents the telautograph; a machine that signs autographs to documents. 1897 Death: Galileo Ferraris, Italian physicist. 1900 British troops vacate Vaal Krantz, Natal. 1905 Birth: Ulf Svante von Euler-Chelpin, in Sweden, physiologist; Nobel 1970. 1915 D.W. Griffith's Birth Of A Nation, a landmark in the history of cinema and the first American full-length motion picture, opens in Los Angeles and is immediately a smash hit though many find its blatant racism offensive. 1920 Death: Admiral Kolchak, admiral, leader of the Russian counterrevolution, and his Prime Minister, Victor Pepeliaev, are executed. General Janin is never charged. 1924 Mussolini's Italy exchanges diplomats with the USSR. 1934 The anti-Semitic Liberal Movement is founded in Bucharest. 1934 The first contract is awarded for Tennessee Valley Authority's power, in Tupelo, Mississippi. 1936 A US Vice Presidents flag is established by executive order. 1937 Death: Elihu Root, US minister of War, Foreign affairs, at 91. Note: The following link is extraordinary. "...President William McKinley was responsible for bringing Root to Washington. When asked to take the post of secretary of war, Root demurred, saying that he knew nothing about war and nothing about the Army. The president responded that he needed a lawyer to administer the colonial territories acquired in the recent War with Spain. This struck a chord in Root and he accepted. The president had chosen well. Born at Canton, New York, in 1845, Elihu Root had graduated from Hamilton College there and moved on to New York University Law School and admission to the bar. After a year with the firm of Mann and Parsons, he established his own office, developing a practice around cases involving banks and railroads, wills and estates, but later specializing in cases involving municipal government and corporate law, and by the close of the century he was considered to be "the acknowledged leader of the American bar. Long active in local politics in New York, the cabinet post now drew him onto the national scene. Upon entering office on 1 August 1899, Secretary Root began methodically to study the Armyâ€™s organization and functions in the light of its responsibilities. 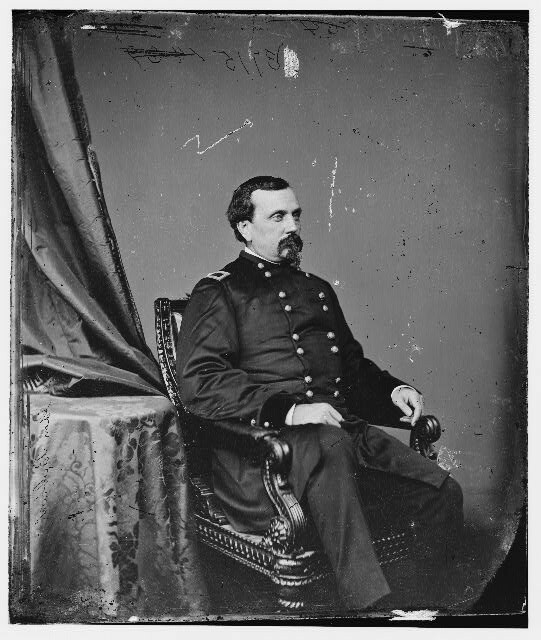 He consulted with staff officers, notably General Corbin, the adjutant general, and one of Corbinâ€™s able and analytical subordinates, Lieutenant Colonel William Harding Carter. He read the published and unpublished works of the late Colonel and Brevet Major General Emory Upton on European and Asian armies and American military policy; read British military writer Spenser Wilkinsonâ€™s The Brain of an Army; and digested the report of Major General Grenville M. Dodgeâ€™s investigating commission on the conduct of the War Department in the War with Spain. Working from the premise that "the real object of having an Army is to provide for war," and that the government and therefore the Army were similar to industrial establishments and could "profit by the lessons which the world of industry and of commerce has learned to such good effect," he began to cultivate support in Congress and around the country for a program of reform which he gradually exposed..."
1939 Holocaust: Alfred Rosenberg, at a press conference in Berlin, discusses a plan to settle all 15 million of the world's Jews on the island of Madagascar. 1941 WW2: The British capture Benghazi in Libya for the first time; they will hold it until April but are then forced to evacuate, recapturing it again in December. 1943 WW2: Shoe rationing begins in the US. 1944 WW2: The Germans launch a counteroffensive at Anzio, Italy. 1945 Holocaust: Dietrich Bonhoeffer is moved to the Buchenwald Concentration Camp. 1948 Omar Bradley succeeds Dwight Eisenhower as US Army Chief of Staff. 1950 Georges Bidault forms a French government. 1950 The US and Great Britain recognize the Bao Dai Vietnamese regime. 1956 Autherine Lucy, the first black admitted to the University of Alabama, is expelled after she accuses school officials of conspiring in the riots that accompanied her court-ordered enrollment. 1961 Death: Louis-Ferdinand Celine, French physician, author, anti-Semite, at 67. 1962 A gas explosion in Luisanthal coal mine in Voelklingen, Germany kills 298. 1964 Death: Hermann A.J. 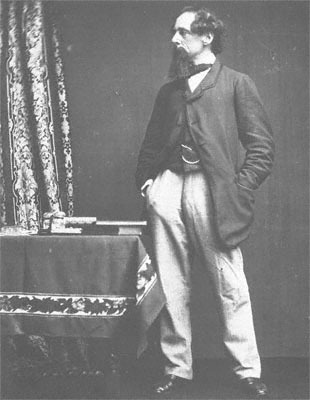 Kees, German Egyptologist. 1965 The Nam: President Johnson orders the first major bombing attack on North Vietnam. 1967 Death: Henry Morgenthau, US Treasury Secretary. 1968 All 10 provincial premiers of Canada agree to draft a new constitution giving the French language equal status with English throughout Canada. 1969 Al-Fatah-leader Yasser Arafat becomes president of the Palestine Liberation Organization (PLO). 1971 Women finally get the vote in Switzerland. 1973 Watergate: The US Senate votes to set up a committee to investigate the break-in at the Democratic National Headquarters in Washington's Watergate complex. 1977 Soyuz 24 is launched with 2 cosmonauts aboard. 1977 Britain acknowledges to the European Court of Human Rights that malpractice had been used against prisoners in Ulster in 1971; it pledges never again to use deprivation techniques. 1979 Death: Josef Mengele, infamous for conducting experiments on twins at Auschwitz. At the end of WW2, Mengele escaped capture and fled to South America. 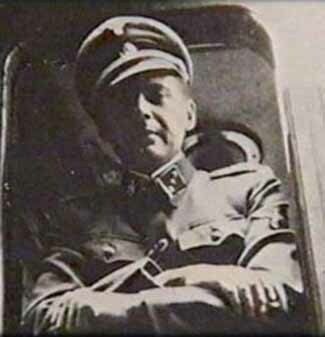 Never caught to be punished for his crimes, Mengele dies this day in Brazil by drowning. 1981 Death: Hermann Esser, one of Hitler's earliest comrades. 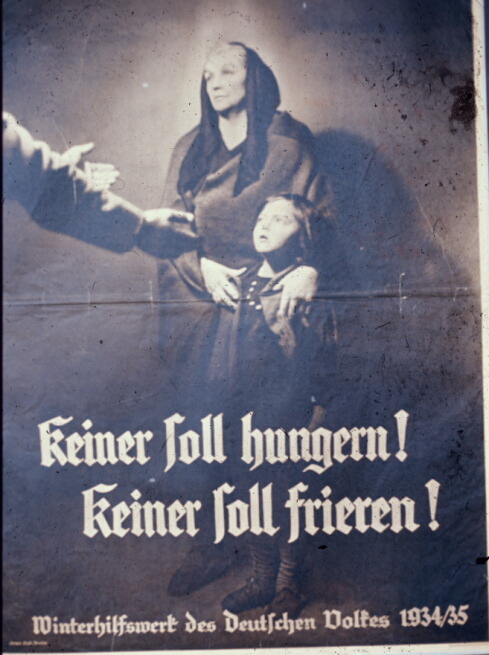 NSDAP propaganda chief, 1925-26. Appointed Bavarian Economy minister in 1933, president of Reich Tourist Traffic Association in 1936 and state secretary of the Reich Propaganda Ministry. In 1950, Esser was sentenced to five years in labor camp but was released in 1951. Kept a low profile in Germany for the next thirty years. 1984 US astronaut Bruce McCandless makes the first untethered space walk, flying up to 100 yards from the Space Shuttle Challenger using only a powered backpack. 1986 Haiti's President-for-Life President Jean-Claude Duvalier, flees to France after demonstrations against his rule. Henri Namphy becomes leader of Haiti. 1986 Both Ferdinand Marcos and challenger Corazon Aquino claim victory in the Philippine presidential election. 1988 Death: Lin Carter, US sci-fi writer; Lost World of Time. 1989 A US State Department report on international human rights accuses Israel of mishandling the Palestinian uprising in the occupied territories. 1990 The Soviet Communist Party leadership agrees to surrender its 70-year monopoly on power, paving the way for a multiparty democracy. 1990 Karachi police kill 22 antimilitary demonstrators. 1991 The IRA launches a mortar bomb attack on 10 Downing Street, from a van in Whitehall. No-one is hurt. 1991 Popular leftist priest Jean-Bertrand Aristide is sworn in as Haiti's first democratically elected president in 186 years. 1992 European Community ministers formally sign the Maastricht Treaty of European Union. 1994 The European Union backs the use of air strikes to relieve besieged Sarajevo. 1994 Iran arrests more than 20 'morally corrupt' suspects in a plot to assassinate President Akbar Hashemi Rafsanjani. 1995 The alleged 'mastermind' in the 1993 bombing of the World Trade Center, Ramzi Ahmed Yousef, is arrested in Pakistan and extradited to New York the next day. 1996 Rene Preval becomes Haiti's second freely elected president. 1999 Death: King Hussein of Jordan, following a battle with cancer, at 63. Hussein had ruled Jordan for 46 years. 2002 Despite exchanges between Israel and the Palestinians that at times approach outright warfare, Israeli Prime Minister Sharon declares that he expects a Palestinian state to emerge from the conflict. 2003 Downing Street admits it failed to acknowledge that a large section of an Iraqi weapons dossier was copied from a US student's outdated thesis.